(CBS/AP) OMAHA, Neb. - Lottery ticket lines swelled as the record Mega Millions jackpot grew to $640 million, thanks greatly to players who opened their wallets despite long odds of success. Officials estimated ticket-buyers will have spent more than $1.46 billion on the jackpot by the time Friday night's numbers are drawn. A cafe worker in Arizona reported selling $2,600 worth of tickets to one buyer, while a retired soldier in Wisconsin doubled his regular weekly ticket spending to $55. But each would have to put down millions more to guarantee winning what could be the biggest single lotto payout in the world. Some Indiana players managed to get freebies, as Hoosier Lottery officials gave away one free Mega Millions ticket to each of the first 540 players at several outlets around the state Friday -- a plan announced before the jackpot grew by $100 million. 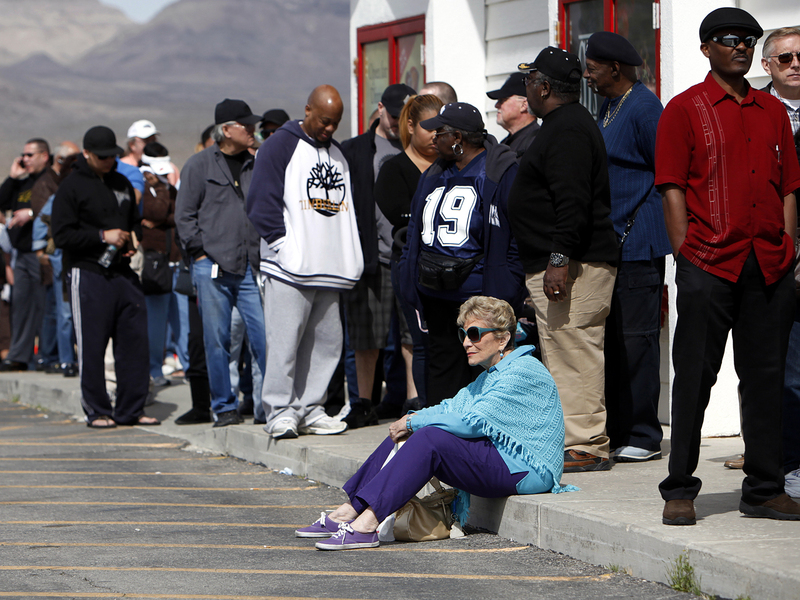 The lines were out the door at Rosie's Den cafe in the rural northwestern Arizona community of White Hills, 72 miles southeast of Las Vegas and one of the closest points to Nevada -- which doesn't offer Mega Millions -- for buyers to get in the game. In Armen Keteyian's report for "CBS Evening News", the revenue from that jackpot pie is divided in three ways: About 60 percent goes to prize winners; 15 percent to retailers, marketing and operations; and 25 percent, or about $14 billion, goes back to the states for government services. And while states earmark that money for education programs, state lotteries covered only a fraction of state education spending," according to a CBS News investigation. Where does MegaMillions money go after the jackpot? Is The Lottery Shortchanging Schools? And what happens if you win? CBS MoneyWatch's Jill Schlesinger has some recommendations -- among them 1) Read the rules on the back of the lottery ticket and the lottery web site; 2) Assemble a team that would include interviewing attorneys and financial advisors; and 3) Allow yourself to spend a little money, but don't go crazy.